Secret Superstar 11th Day (2nd Sunday) Collection Early Trends. Fantastic Growth! Secret Superstar is showing fantastic growth on 2nd Sunday (11th day) at box office as early trends for the day is coming in. Film is heading for good day 11 total now. 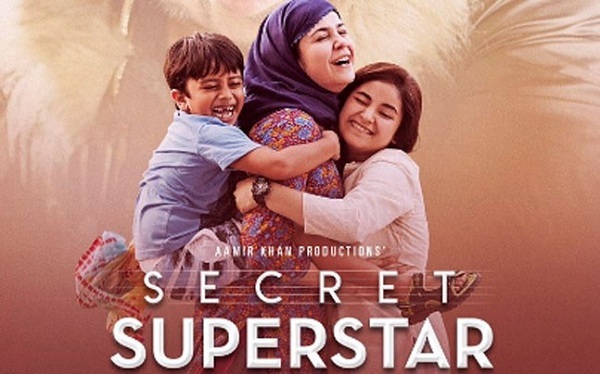 Secret Superstar has opened to around 40-45% occupancy in Morning shows. Film picked up well in Noon to register occupancy of around 60%. After that film has hold strong in Evening shows and as per latest registering occupancy of around 50%. When samples of 2nd Sunday are compared to 2nd Saturday then there is a good jump of 20-25%. Early trends suggest, Secret Superstar 11th day total is heading towards 4-4.5 crore nett mark. These are very early estimates and actual may vary. Night shows are still to start. Plus major reports from interiors are awaited for the day. Really deserves more collection. A gem of a film. An ode to motherhood!